Minnesota State University-Mankato appears in our ranking of the Top 10 Cheapest Online Master’s in Information Assurance Degrees. At Minnesota State University-Mankato, students have a great many options when it comes to computer science and its applications. They may earn bachelor’s degrees, master’s degrees, and certificates in a wide variety of subfields. The latter five of the certificates are at the graduate level. There are also several computer and data-oriented minors that students may choose to pursue. The varied courses of study at Minnesota State University-Mankato are indicative of its commitment to keeping up with an ever-changing digital world. Computers are advancing at nearly an exponential clip, and the world needs highly educated and trained workers to fill all the new jobs created. With all of the new advances come a slew of security risks, too, and Minnesota State University-Mankato is ready. Graduate students can major in Information Security and Risk Management and keep nefarious threats at bay upon graduation. The university was founded in 1868 as the Mankato Normal School to fulfill the need for elementary and secondary teachers in the new states and in the western territories. Just two dozen students then have become nearly 13,000 now. 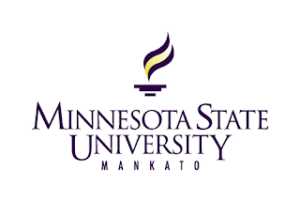 The school has gone through a few name changes before settling on Minnesota State University-Mankato, which it adopted in 1998. The university has been awarding four-year degrees since 1927 and master’s degrees since 1954. The Ph.D. program at the university is a relative newcomer. It awarded its first degrees in 2009. The university is ranked No. 111 in the Midwest Region by U.S. News and World Report. Its ranking among top public schools is No. 32. Minnesota State University-Mankato accepts fewer than two-thirds of applicants. Three in four students profess satisfaction with their education at the university by the end of their freshman year. Two years of the same language: ASL qualifies. In certain cases, students may apply for provisional admission to the program, but that is determined on a case-by-case basis. Students should call the applicable department for further clarification. Graduate tuition is charged by the credit hour, and the price ranges from $411.40 to $663.95, depending on the student’s chosen field of study. Aside from these tuition costs, there are also assorted fees, room costs, and meal plan costs. Students should consult the residence life page for further information. Students wishing to receive financial aid should begin with the Free Application for Federal Student Aid, or FAFSA. The university uses this form to determine each student’s eligibility based on a variety of factors. Available types of aid include loans, both subsidized and unsubsidized, grants, scholarships, and work-study programs. Outside of the university, students may pursue any grants or scholarships they wish. They should remember, however, that awarding entities usually have tough academic standards that must be met not only to earn but also to keep such awards. Students who do not maintain those standards run the risk of losing the financial aid or, worse, having to repay it with interest. The Office of Financial Aid can answer any questions. Minnesota State University-Mankato strives to give students a bevy of opportunities and to ensure that each class in every level of education is as enriching and rewarding as possible.